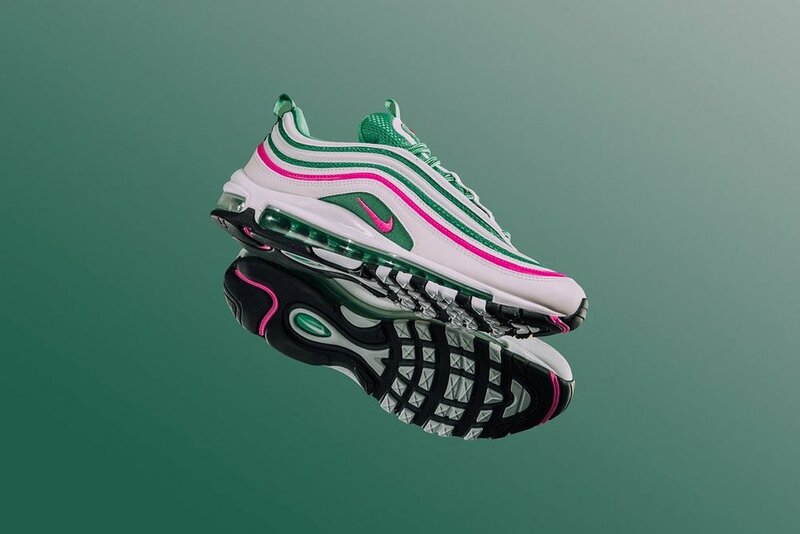 As an expansion to their Air Max Month celebration, Nike is back with another take to the iconic Air Max 97 silhouette. 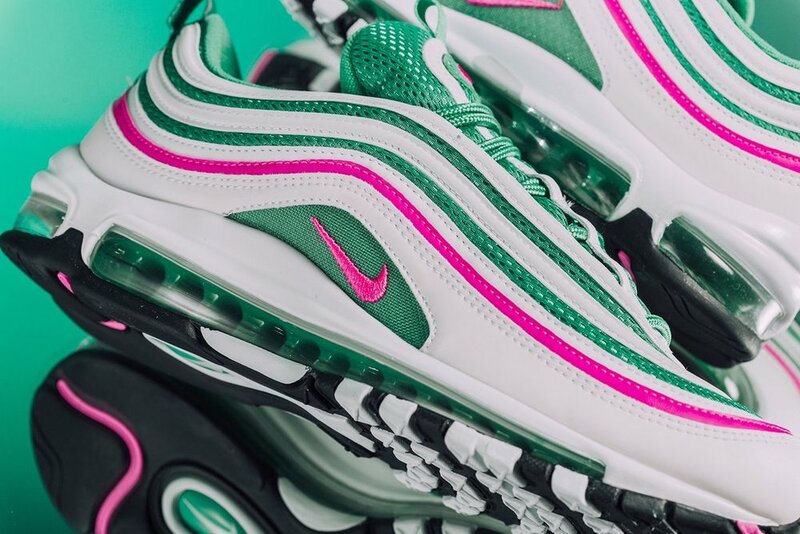 Dubbed the "South Beach" rendition, the latest design features Kinetic Green and Pink Blast color blocking placed atop a contrasting white upper. 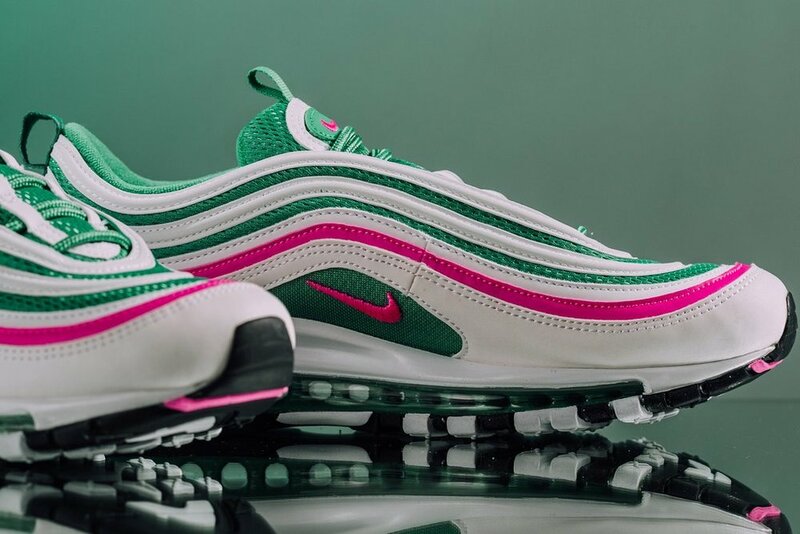 The same color combo is seen on the 360 air unit, while the Pink Blast hue continues on the embroidered swoosh branding. Black accents on the outsole add further contrast and give the sneaker a finished look. 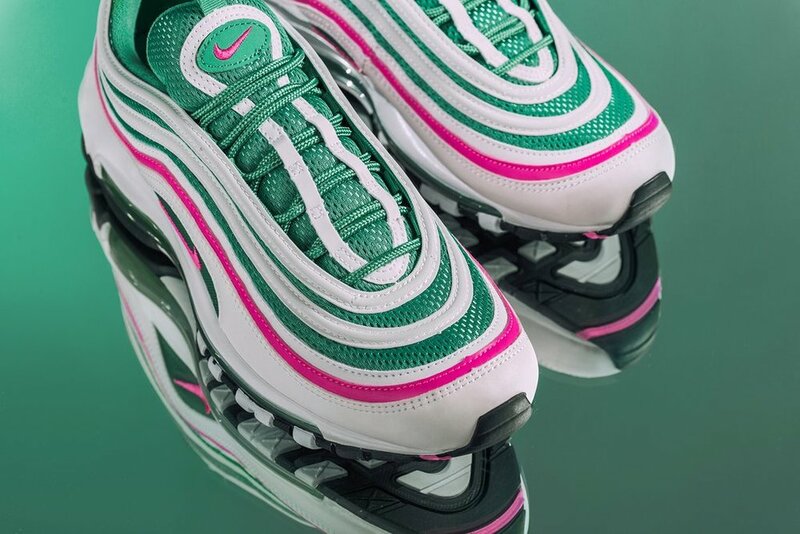 Releasing March 31 at selected retailers such as Feature.